Round in shape with a range of finishes. A classically styled umbrella stand able to harmonize with any surroundings thanks to its painted finish in a choice of colours present on the Ral scale. 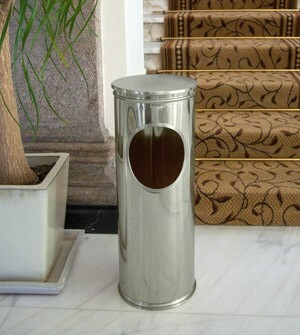 We present our unique and elegant umbrella stand design.